The 2015 election of the National Union of Engineering Students (NUESA) University of Nigeria, Nsukka was a huge success courtesy of the innovation emanating from the minds of the members of the electoral board headed by Sen. Nwangele Godwin Chukwuemeka. The whole process was conducted online enabling student to vote even from the comfort of their rooms, classrooms, lodges, etc. within the stipulated time for the election. Also, turnout of voters which was usually very low in the faculty of engineering witnessed a turnaround as the students of the faculty were intrigued by the whole idea of the electoral commission leveraging technology so as to curb all of the malpractices in the electoral process. The voter turnout was 200% more than that of the last election thanks to the freedom given to students to vote from wherever. At the beginning of the electoral process, the idea of carrying out the whole process online was quite enthralling as it was a sure way of eradicating all possible forms of electoral malpractices. Before now, the whole electioneering process has been marred by the normal stories we hear on our national dailies after any major election had been conducted. Moreover, the process in previous times had been filled with malpractices such as rigging, coercion of the electorates to vote for a particular candidate and the possibility of carting away the ballot box. 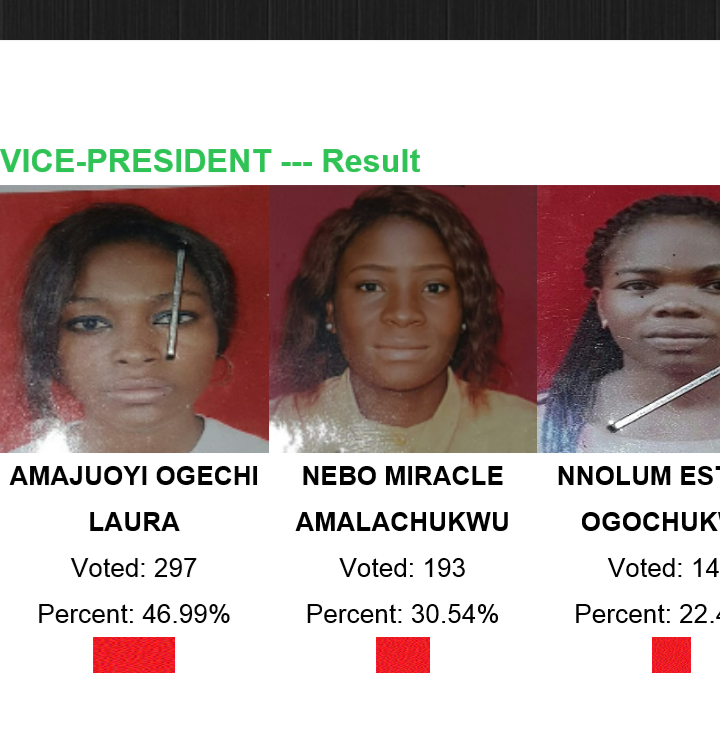 Nevertheless, in the beginning when the idea was brought forward to the faculty and contestants, they all looked skeptical fearing the possibility of failure and malpractice from the electoral officers. The contestants came up with various questions and as well brought up some ideas that led to the eventual success of the process. The Dean of the Faculty supported the idea, and the Staff Adviser's support and attention is so very much worthy of encomium. Also, the class representatives were to a major extent one of the forces that could have led to the failure of the process however the daring and sacrificial nature of the electoral commission was beyond their power. While some cooperated with the electoral board, others tried playing smart in a bid to have their way. Some of the class representatives did not submit their class list within the stipulated time, and some of those who did submitted compromised lists with falsified names and phone numbers. However, the intelligence and smartness of members of the electoral board made them able to detect all of these schemes. The electoral commission continued to pester the class representatives to submit their class lists and on the day to the election after the manifesto, the remaining class representatives came up with their class lists having been enlightened that if their list is not seen their whole class would be disenfranchised. 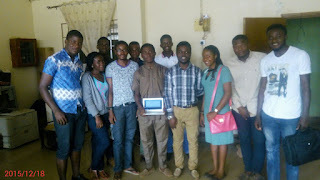 This was another big hurdle to the commission as we had less than 12 hours to register more than a thousand students with the epileptic power supply in the school and the never-consistent data connection on which the university community depends. We tried our best as it was as if the chairman of the commission was inspired by the Holy Spirit to select men who are capable of doing the job. The perseverance and sacrifice of the members of the commission led to the successful registration of the remaining students all night, defying the odds and the elements that could have easily deterred ordinary men from achieving their aim. From an insider perspective, the electoral commission was hopeful for a great success only to find out that, "the journey which we thought was already over just got started. Countless number of people who had not gotten their unique usernames and passwords so as to be able to access the election portal were flocking to the electoral commission office and they (the electoral officers) still proved their mettle as they were able to settle both contestants for various positions as well as the electorate all coming with their multivariate problems." According to a member of the electoral body who was interviewed, "the reason for the initiation of the electronic voting which was to curb rigging and other malpractices was fully achieved and the contestants were satisfied with the whole process as the Dean of the Faculty as well as the contestants after cross checking the result sheet were satisfied with the outcome. Finally, the contenders who were initially against the change found happiness in the whole process and poured encomiums on the electoral commission. 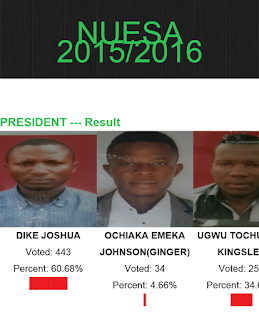 The faculty as well was happy with the outcome and was full of praise for the electoral commission. Despite the success of the whole electoral process, the students of the Department of Civil Engineering felt marginalized as a result of their disenfranchisement owing to the fact that the list that was brought to the electoral commission was full of irregularities. However, after being shown evidence of irregularities and malpractices, both the Head of the Department of Civil Engineering and the Dean of the Faculty were in support of the disenfranchisement. The hitches experienced in the whole process were all settled courtesy of the strong and brilliant electoral officers behind the chairman. 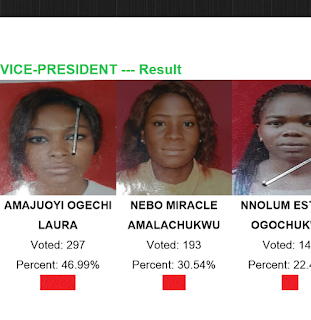 The ever-thinking and ever-evolving electoral commission comprising of some of the best students in the various departments that make up the faculty hand-picked by the chairman proved their worth and integrity and this led to the eventual success of the electioneering process. Moreover, the success of the online voting process couldn't have been possible if not for the sacrifice and brilliance of our backend programmer who was never tiring and even went as far as developing an android application for the election. 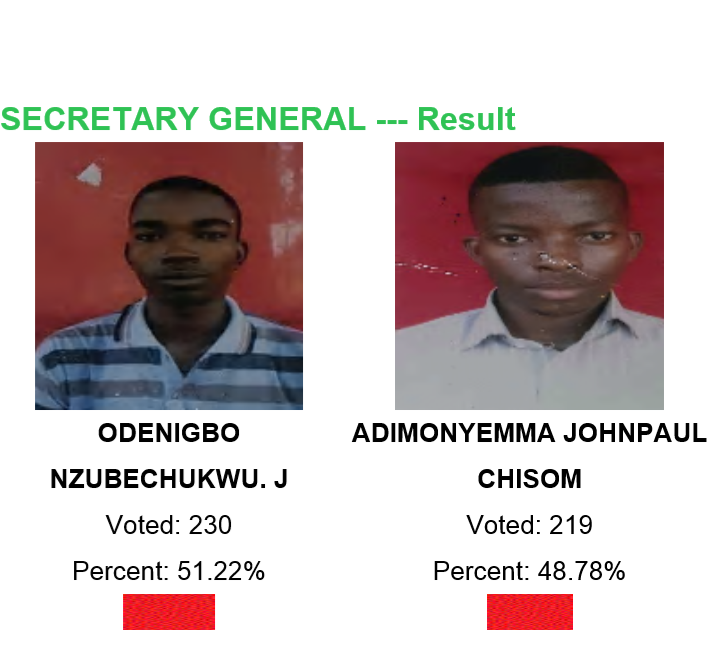 Even though we call Nwangele Godwin our 'JEGA', the electoral commission members do know that Augustine (our backend programmer) was the main JEGA that people did not see. Thanks to the Dean of the Faculty; Prof. S. O Enibe and the staff adviser of the association Dr. Ahaneku for their support. Also, a big thanks to Chidiebere the never-tiring secretary, Okechukwu the 'electorate care representative', Machoo the mighty man, Paschal whose taciturnity and calm interjections are full of wisdom, Aaron the 'engineer', the former president of the union who stood with us through thick and thin in the person of Uzondu Obillor and also Ajah Chukwuemeka the 'errand boy', not forgetting Augustine the reason for this epoch-making event in the history of the university. We hope that this technological advancement which has started with the Faculty of Engineering will be extended to the university as a whole as we anticipate another round of Student Union Government elections.